We are proud to announce our international rail travelers have helped to reduce air pollution from carbon dioxide emissions since 2007. 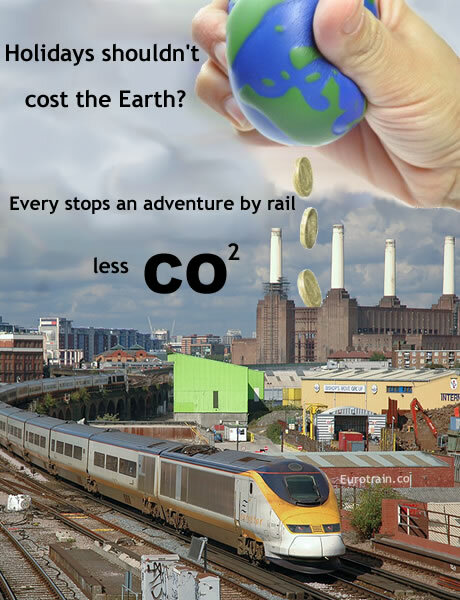 Each mile of a journey booked by rail from St Pancras calculates as reduced CO2 emissions. The statistics above clearly show how much international rail travelers that have helped to impact the reduction of CO2 in travel. Often Ebbsfleet is recommended as you can avoid London traffic, As the station is located near the M25, making it very convenient for travelers inside and outside of London to find by car and without the additional expense of the London Congestion Charges to travel to London..